Batch ready Nov.28, 2016! Pre-order today! Calm and ease your mind with the floral herbaceous smell of lavender. This bar has a loofah inside that will help scrub away excess dead skin. When your soap is done you can use the loofah as a soap dish for your next bar. Loofah is perfect for a soap dish due to its porous surface. 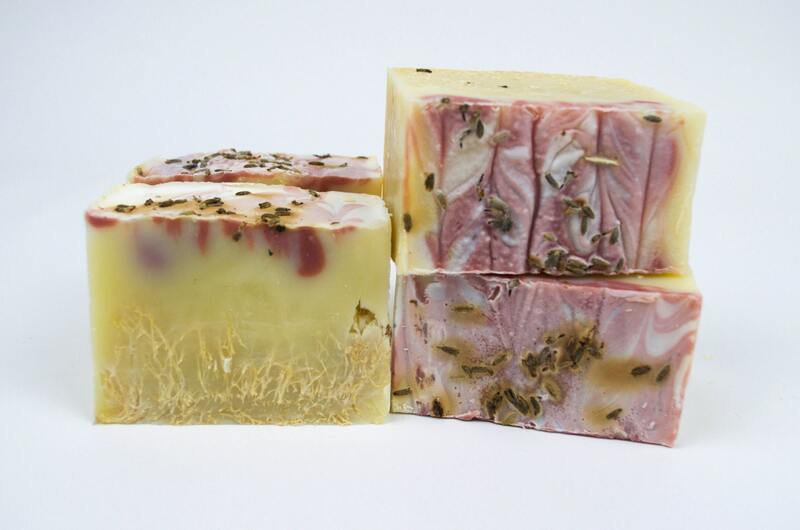 This soap offers a silky lather with big bubbles that will leave your skin clean and hydrated. Attached to the soap is a natural loofah! This is our best selling soap paired with exfoliation!